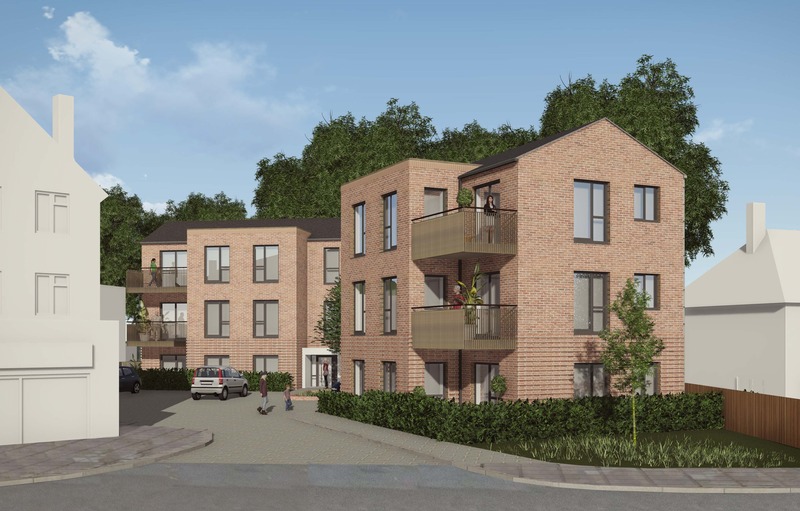 Two flat blocks each comprising of 3 x 2-bedroom flats with communal stair are proposed. One building is proposed along the frontage of Salcombe Gardens to follow the building line of the neighbouring building to the east. The second of the two buildings is proposed to the north-east rear area of the site. The location of the two buildings creates a clear and visible entrance to the site, easily accessible parking areas and communal amenity to the north-west area. The two buildings overlook both the car parking area and rear communal amenity to provide natural surveillance of these areas.